What does the future hold for the leaderless Landmarks Commission? - Archpaper.com What does the future hold for the leaderless Landmarks Commission? Though it’s one of the smaller departments in New York City’s large municipal government, the Landmarks Preservation Commission’s impact is as vast as the five boroughs. The regulatory body that identifies and protects the integrity of the city’s most significant structures is an important shaper of its present, future, and the understanding of the past. The four years of Srinivasan’s tenure marked a significant break, in both substance and style, from her predecessors. To preservationists, Srinivasan has been the most overt supporter yet of the Real Estate Board of New York (REBNY), one of New York City and State’s most powerful interest groups, and preservationists’ most reliable opponent. Because the next appointee will be chosen by De Blasio, as was Srinivasan, preservationists see little cause for hope that her departure will be any more helpful to the Landmarks cause. Just past the halfway mark between De Blasio’s two terms as mayor, it’s an inflection point for his land use program overall. De Blasio has made his affordable housing plan central to the mayoralty, and observers say that it can seem like other elements of land use fall into place around that, rather than being guided by a holistic urban planning agenda. Another recent political move illustrates the dynamic of influence: a move at the state level to eradicate NYC’s longstanding floor area ratio (FAR) zoning requirements has no support from city representatives, but plenty from upstate legislators who are courted by REBNY for votes. “This mayor seems not to have a personal opinion about preservation,” said Anthony C. Wood, a preservation activist and historian. 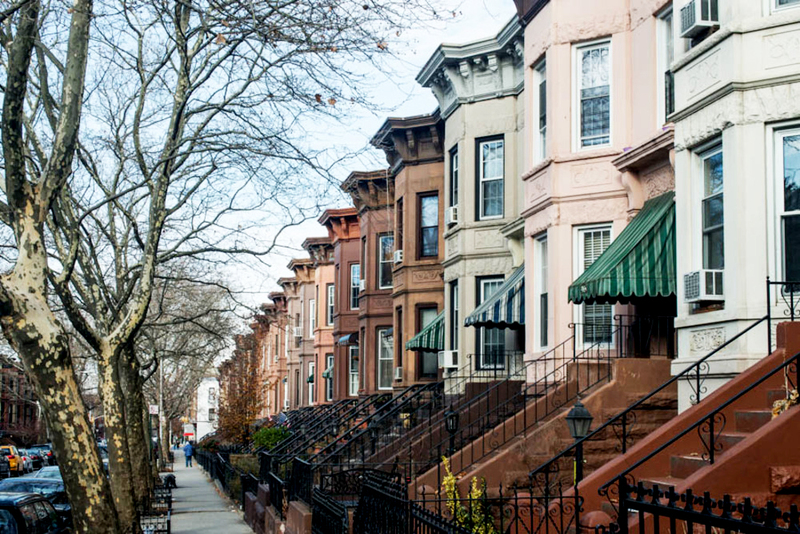 “It appears he needs REBNY to advance his priorities in affordable housing, so he’s willing to facilitate their priorities when it comes to landmarking.” REBNY tends to oppose landmarking protections as obstacles to new development. The ways that Srinivasan’s tenure broke with precedent are many. Based on interviews with LPC staff, commissioners, and preservation advocates, top complaints include: pressure from the chair on staffers to provide certain action recommendations, and on commissioners to vote certain ways; sudden campaigns by the chair to make major overhauls (a rush to clear a decades-long backlog between 2014 and 2015, and a push for rules changes this year are just two examples); moving some business from the portfolio of the Commission to that of the staff, thus removing these items from public deliberation; a lack of interest in maintaining high standards for historically congruous building envelopes and materials; a demoralized and overworked staff with higher-than-normal turnover and open positions that go unfilled, and a commitment to outer-borough landmark designations, even when they come before at the cost of more-deserving Manhattan locations. One such example is the designation of the Coney Island Boardwalk–which is no longer all-wood, nor in its original location–as a feel-good photo-op, while the history-drenched Bowery between Cooper Square and Chatham Square, recognized by the National Register of Historic Places, has been rebuffed by LPC and is being redeveloped day by day. Other sources of preservationist angst include the potential razing of iconic Lower East Side tenements that served as a crucible of American immigration, as well as Sunset Park, Brooklyn, where a historic district desired by residents has not been embraced by the LPC, among many examples. But the Mayor’s office points to a variety of Srinivasan’s actions as meaningful achievements, and anticipates nominating her replacement this summer. Not only did the LPC designate over 3,800 buildings and sites across the five boroughs during her tenure (including 67 individual landmarks, 3 interior landmarks, 1 scenic landmark, and 9 historic districts); it ruled up or down on the many “calendared” properties that had never had hearings; enhanced the consideration of cultural, not just architectural, significance for designations, and created new online databases, such as this website about NYC archaeology, among other initiatives. Michael Devonshire, a LPC commissioner and the body’s most outspoken preservationist, isn’t so sure. Devonshire has held the unpaid volunteer post since 2010, while working as director of conservation at the architecture and preservation firm Jan Hird Pokorny Associates, and as a teacher at Columbia University. He worries about the Commission’s recent turn toward approving more ahistorical modifications to landmarks. Soon he’ll find out whether, in De Blasio’s New York, that’s too much to ask. Karen Loew is a writer in New York. She worked at the Greenwich Village Society for Historic Preservation from 2013-2015.